Electronic voting solutions for condo communities have been available since about 2014. With updated wording in the Condo Act it is hoped that more condo corporations give this solution the serious consideration it deserves. Having fair, open and reliable condo elections with greater participation is in best interest of all condo communities. Online voting offers an easy, inexpensive, elegant and desirable solution solving virtually all problems relating to condo elections. One challenge is obtaining sufficient participation to elect new directors or make changes that require a vote. Another is an easy way to identify vocal minority and majority opinions. Perhaps the most important benefit of electronic voting is the elimination of irregularities and dishonest tactics including abuse of proxy voting. Online voting addresses problems relating to condo elections while increasing owner participation as explained in It’s Time for Online Voting in Condos in the Condo Archives. Simply Voting has provided this service to over 1500 organizations since 2003. CondoVoter is a service specifically for condo communities. Electronic voting is simple. Each eligible voter is provided with a personal PIN exclusively for their use and an e-mail with a link to the voting site. A voting period has a start and end date, which can be a single day or an extended period, during which eligible voters can vote. Voting is anonymous and secure with no opportunity to cast multiple votes. The need for assigning a proxy is eliminated. Electronic voting can be done on any internet-connected device including computer, iPad or mobile phone. Those preferring not to vote electronically can continue to vote using a paper ballot. Condo corporations, having experimented with electronic proxies, find they are ineffective at resolving proxy-related problems. 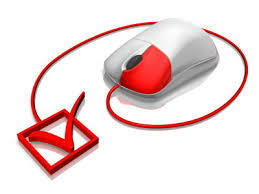 Online or electronic voting eliminates the need for proxies thus also eliminating their abuse. Some condo corporations moving toward electronic voting may choose to enact an Electronic Voting Bylaw. So long as quorum is achieved at a meeting of owners – 25% of units – all electronic votes are counted. Proxies and recounts are eliminated.